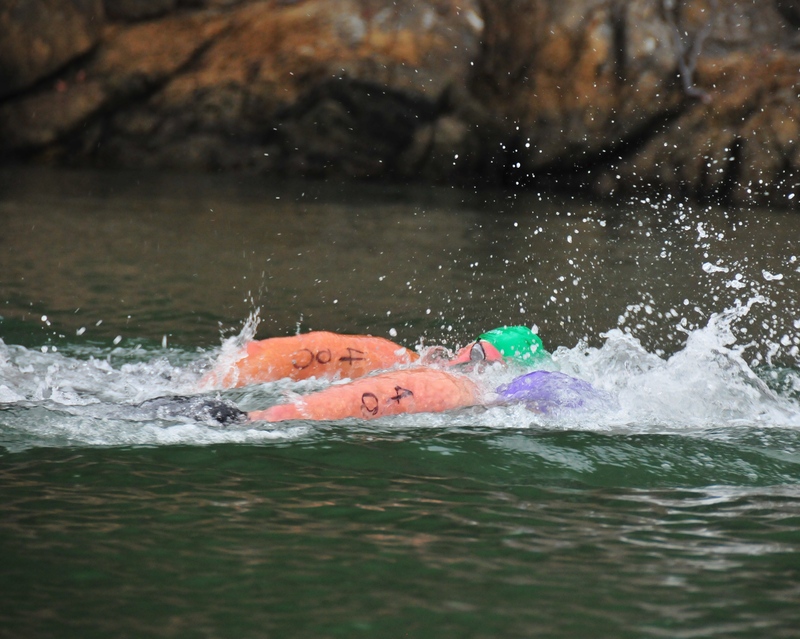 Because this Sunday’s RCP Tiburon Mile Open Water Swim is one of the most competitive and prestigious open water races in the world, we’ll have rock star level swimmers from around the world right here in the chilly waters between Tiburon and Angel Island. 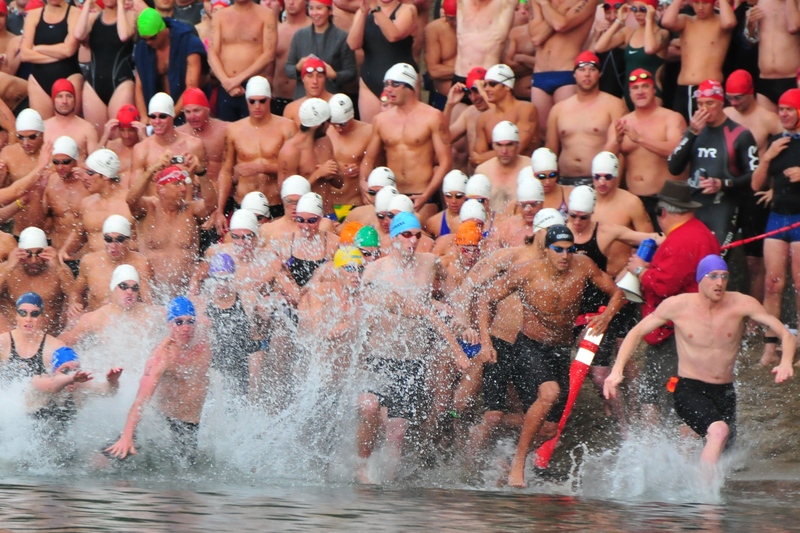 The swimmers will start from Ayala Cove on Angel Island, with the Elite level swimmers, who include the top three male and female finishers from last year’s event, entering the water first, followed by the others. It’s a colorful human wave as they dive in and set off. If you want to participate, registration is still open, but it’s also fun to go down and just watch as they finish their 1 nautical mile swim on Sam’s Anchor Cafe beach between its decks and the Corinthian Yacht Club parking lot in downtown Tiburon. Sam’s will be opening earlier than its usual 9:30 a.m. to accommodate the interested fans who want the best viewed spot available. This is also a big fundraiser for Hospice by the Bay here in Marin and USA Swimming Foundation, with over $1,350,000 raised since it started in 1999.